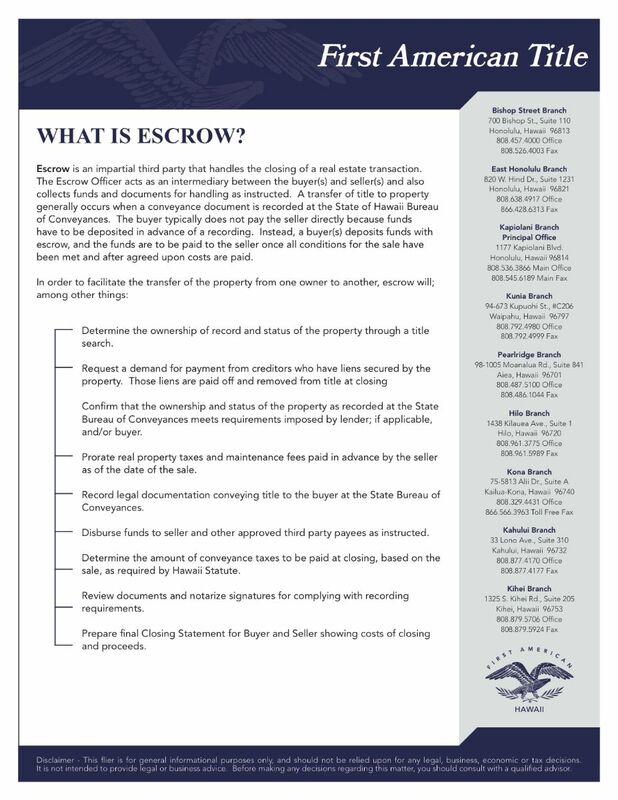 What does it mean to be "in escrow"? What is the role of an escrow officer? 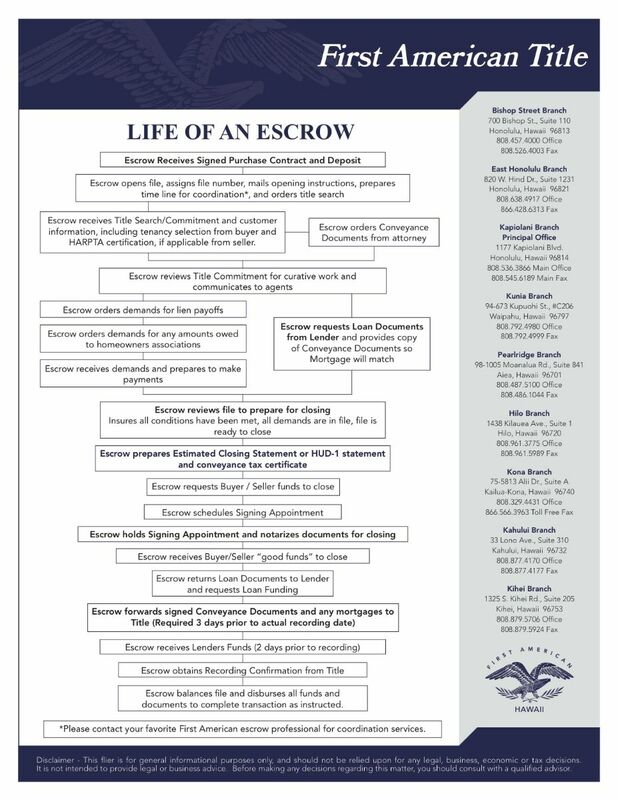 Hawaii is an escrow state, and as such, the escrow company serves to act as a neutral third party, handling funds from the Buyers and Sellers during the real estate transaction. Once a contract has been accepted and escrow is opened, it typically takes 45-60 days to close a transaction.